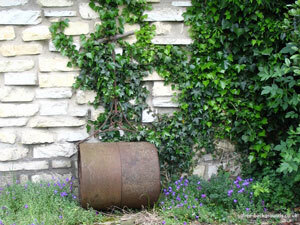 This rusting old lawn roller has been resting against the stone wall of that garage for many years. 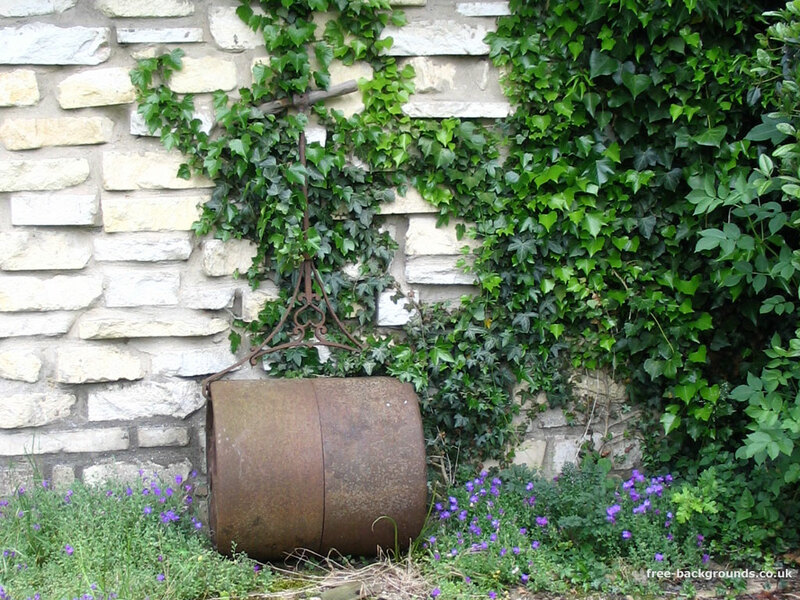 The ivy has grown up the wall and around the metal bar and wooden handle, and weeds and flowers grow up through the patio it rests on. This is in my garden - I should get round to doing something about it - but I like it how it is.